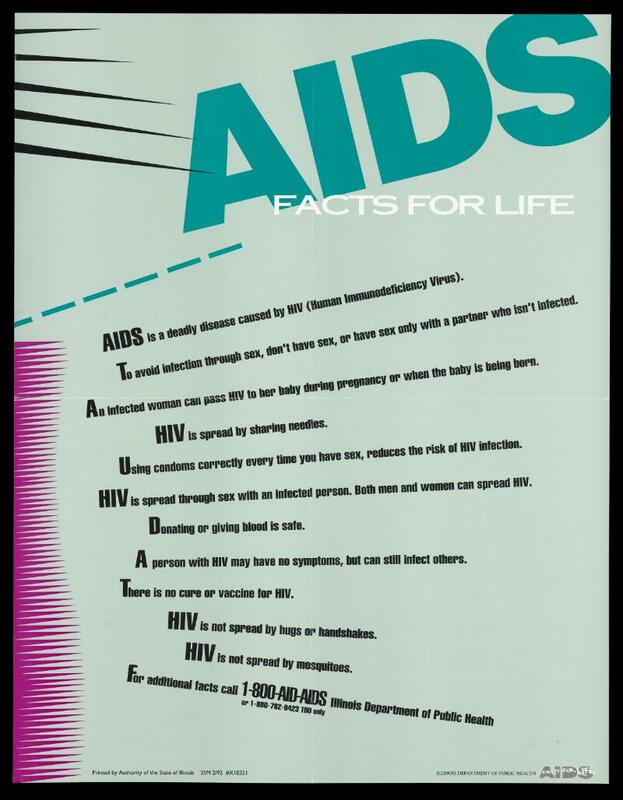 A list of facts about AIDS by the Illinois Department of Public Health. Colour lithograph. AIDS Facts for Life. AIDS is a deadly disease ... HIV is not spread by mosquitoes. For additional facts call ... Illinois Department of Public Health. Printed by authority of the State of Illinois. Illinois Department of Public Health. AIDS. Facts for Life.